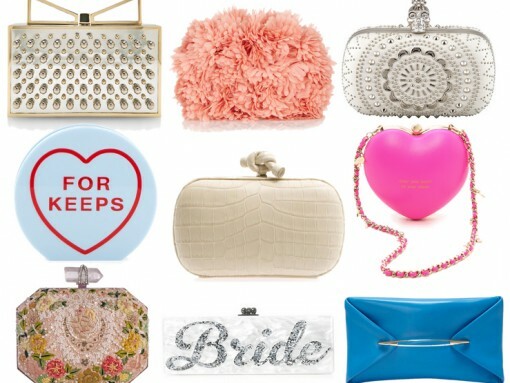 Clutches are such a conundrum. 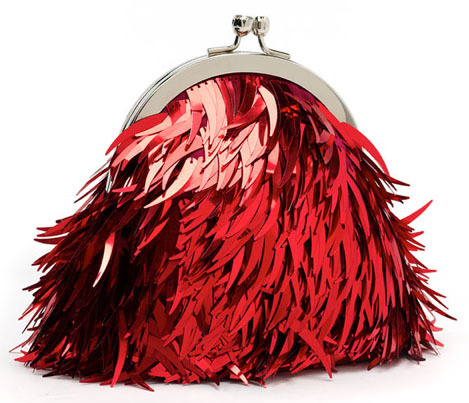 Not only are they the smallest, least often-used bags of all the major categories, but they’re some of the most expensive purses on the market because of the amount of embellishment and detail that goes into some of them. It’s hard to believe that what is essentially a frame-structured silk pouch can sometimes cost as much as an all-leather everyday bag from the same brand, but that’s exactly the case with the Valentino Silk Georgette Rosette Clutch, which rings up at $2495. If you’re keeping score, that’s only $100 less than the white Valentino Rockstud Tote that I’m so obsessed with. I wish I had more places to carry sparkly little bags. Not that I want more weddings to go to (in fact, don’t invite me to your wedding, I won’t come unless the catering is going to be really good) or things like that…it would just be nice if life was a little more glamorous, you know? I fabulous party here and there, maybe a premiere. Tiny, sparkly clutches and dive bars don’t mix. This is my first holiday season doing the ol’ full-time PurseBlogger gig, so I don’t have a previous party season with which to compare it, but it certainly seems like there are so many shiny, glam, wonderful little clutches surfacing for our holiday enjoyment lately.